Assistant Pastor Bob Queen drove me to the Longview airport and I caught a flight to DFW and then on to San Francisco. I arrived a few minutes late but all went well. Dr. and Mrs. Callaghan met me at the baggage handler and drove me to a beautiful sea food restaurant where I ate some halibut. It was GREAT! This is Fleet Week and there were a lot of people out. Also, Stanford was playing football. I think that is what they call it out here? I arrived back at my room and quickly turned the TV on and found that, yep, Michigan State beat Michigan! Poor Mrs. Gray! I hope she will let me come back home? Also, I saw where Arkansas beat Texas A & M plus Alabama lost! WHAT? Yes, you heard it here second! Ha! Now, all we need is a Cowboy win!!!!!!!!! This has been a great week of soul winning! The Lord allowed me to lead 10 folks to Christ! AMEN! I called some of my converts last night and so far I have at least 2 coming to church today. I will be preaching at the Arlington Baptist Church of El Cerrito, CA, this morning. 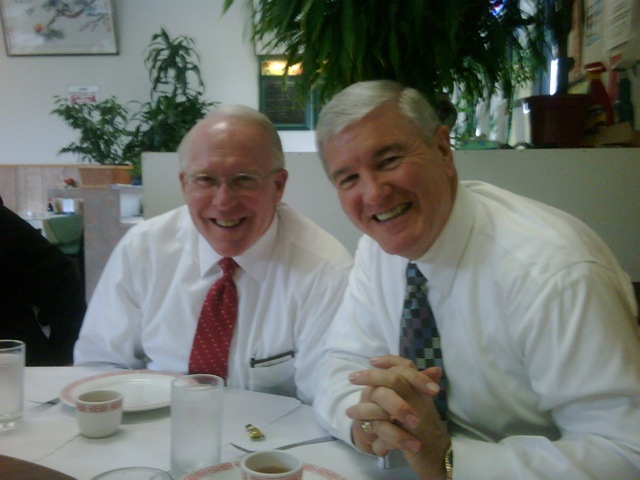 I have known the Callaghans for almost three decades and they are doing a great job of reaching people with the Gospel. GOTTA LOVE SOUL WINNING!